Do you struggle to get your children to brush their teeth? 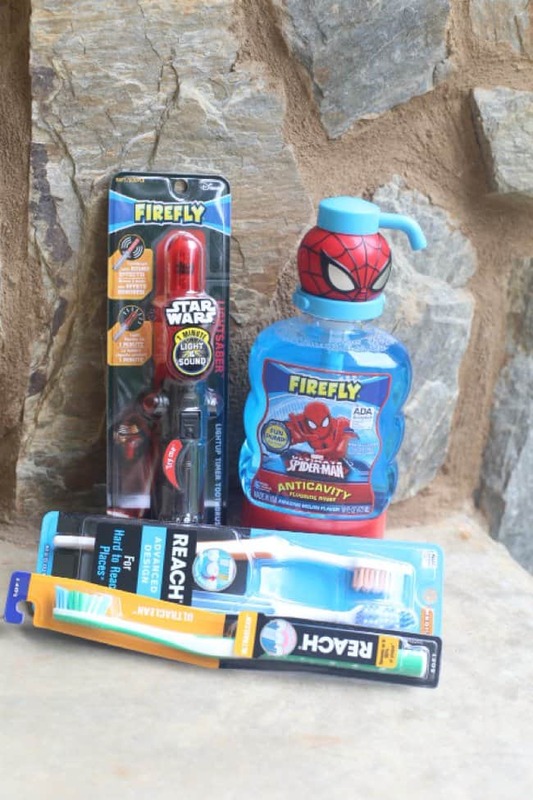 This month we got to try new products from REACH and Firefly that make brushing teeth fun and effective. Firefly products are designed to turn brushing into playtime, and I know anything that makes brushing more fun means less fighting and reminding children to brush! 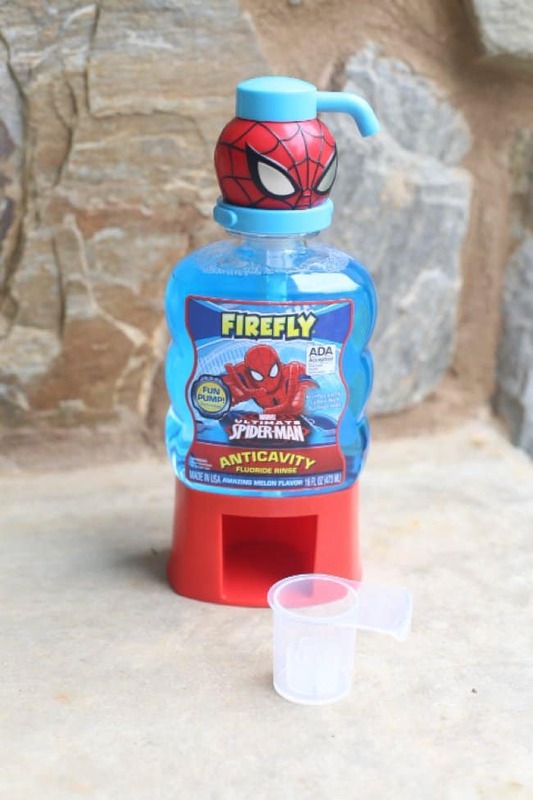 This is such a fun way to get my kids to use anti-cavity fluoride rinse. They really like the melon flavor, but they love the design and fun of their bottle even more. The easy to use pump and no-mess measuring cup mean my bathroom stays clean. The kids can use the perfect amount every time thanks to the included measuring cup. I like that the rinse is sugar and alcohol free. My son loves this new toothbrush. What could be better than a lightsaber toothbrush for a little boy? 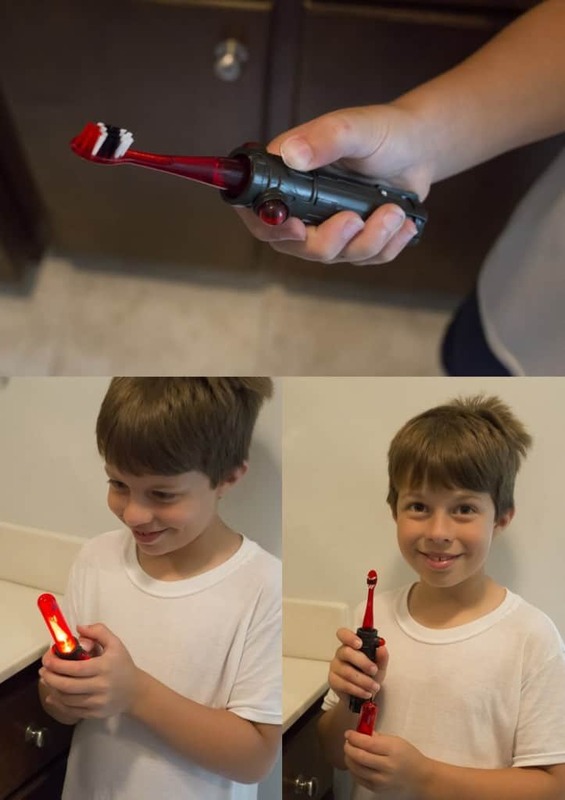 A lightsaber toothbrush that lights up and makes sounds of course! It includes character voices and movie quotes plus lightsaber sound effects. The protective cap means the toothbrush stays clean even when my son throws it in his suitcase. Until this toothbrush, getting my son to brush his teeth for more than 20 seconds was a challenge. The Kylo Ren Lightsaber toothbrush lights up for 60 seconds. Use one cycle of the timer for the top teeth, and a 2nd cycle for the bottom teeth for two whole minutes of brushing. Do you change your toothbrush every three months? How about every time you get a cold? I do change our toothbrushes frequently, usually thanks to my toddler ‘borrowing’ someone else’s brush for his own brushing… or worse to clean the counter and floor. Having several packages of extra toothbrushes on hand is a must for me! 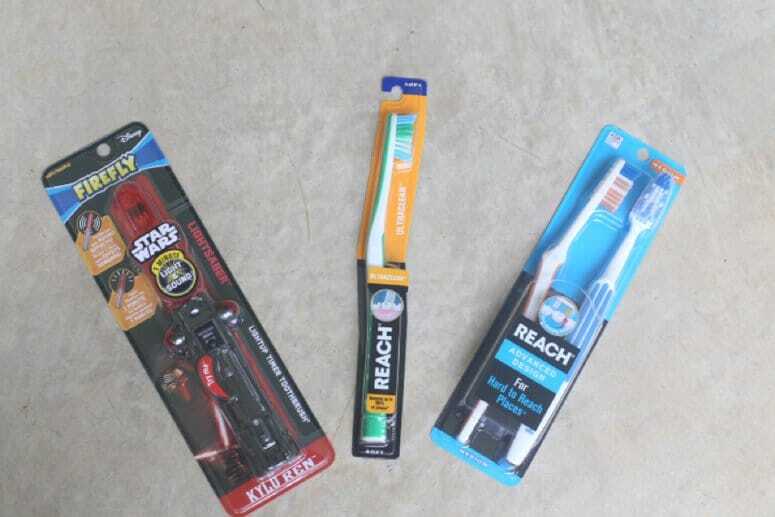 REACH offers great toothbrushes at affordable prices for use those times. This month I got to review two new REACH toothbrushes. The REACH Ultra Clean Toothbrush was my favorite of the two. The floss like bristles make my teeth feel clean all the way to my gums. The included tongue cleaner means my whole mouth feels clean each time I brush. I love the look and feel of the grip on this toothbrush. It fits well in my hand while also reaching all those hard to reach places. The REACH Advanced Design Toothbrush with it’s longer outer bristles and shorter inner bristles also reaches all the way to the gums for a complete clean. It also includes the tongue cleaner on the back of the brush’s head for whole mouth cleaning. The angled neck of this brush makes reaching back teeth comfortable and easy. Make sure to check out the Firefly Lights, Camera, Smiles Sweepstakes on Facebook where one grand prize winner will win a trip for a family of four to Hollywood!